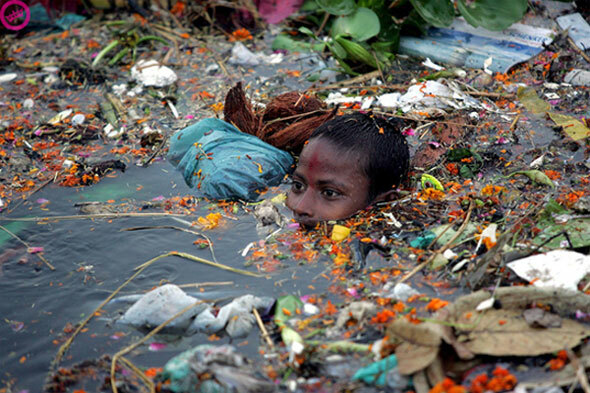 I won’t let plastic pollution drag me down or overwhelm me. No, you don’t need to fit all of your trash for the year into a mason jar. You don’t need to immediately replace your plastic razors, plastic baggies, trash bags, and coffee cups all in one go. Who knows, you may end up there, but that’s not where most people start. Feeling a little less anxious? Whew. Let’s proceed. Maybe you already know about plastic pollution, the chemicals in plastic, and the effects of it on the environment and human health. Maybe you’ve seen that horrifying video of a sea turtle getting an entire drinking straw removed from its nostril with a pair of pliers. Or maybe you’re just curious and want to know more. 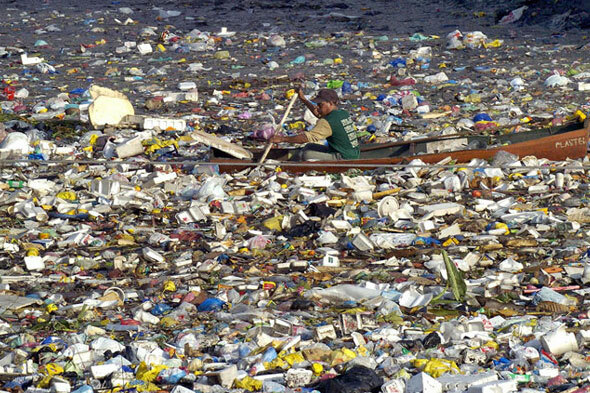 If you need a little convincing or want to get the facts straight, there’s plenty of research on plastic pollution. I’ve created my own mini-bibliography below, and you can also sift through these papers. Let’s face it, though: knowing is half the battle (thanks, G.I. Joe). It feels more like 5% of the battle to me. You’d think that having more information and a better understanding of a problem would lead you to be more concerned about it and take action to mitigate it. Thanks to our weird brains, that’s not necessarily true. It’s true: sometimes facts can really drag you down. What’s the key to changing our behavior when some of the seemingly-innocuous things we do are actually harmful? We start small, and we create a habit. A lot of the plastic we use is everyday stuff: snack bags, coffee cup covers, toothbrushes, and all those danged beach whistles. It’s hard to find a packaged food product that doesn’t have plastic, whether it’s a bottle cap, a box of cereal, or the lining of a cardboard juice carton. These things have become part of the fabric of our lives (sorry, cotton) since their proliferation in the 1940s, and we hardly give them a thought. They’ve become habits. Thinking about all the ways you use plastic, and trying to imagine eliminating ALL of them in a short period of time is overwhelming. You might think, Those zero-waste eco-freaks, how do they do it? They must spend all their time worrying about plastic! Well, overwhelm is the killer of habit change, so what do we do? We choose one thing. We start very, very small. Yup, even science says it works. We rewire a tiny part of our brain, and it takes a bit of the effort out of making a daily change. Soon, it just feels normal. And that’s the big secret answer to my click-baity title: the one thing is whichever one small thing you choose to start with. A little sneaky, but it works. Start easy. Choose something that’s a little lower down on the effort list. Could you get a reusable coffee cup and bring it to your local coffee shop? Avoid taking a plastic lid? 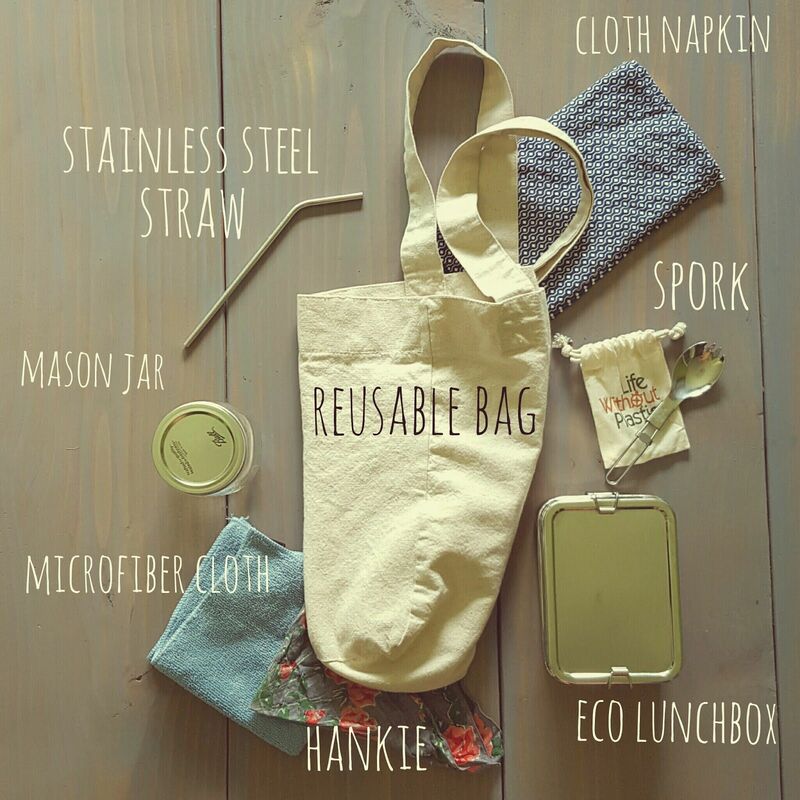 Replace one plastic baggy per week with something reusable, like a jar or cloth bag? Keep a bottle of cream at work instead of plastic creamers? You can even start smaller than this. Use what you have. Already got a travel mug, metal utensils, or a reusable shopping bags? Start using one of them, and refer to #4 if you keep forgetting them. Treat yo’self. Okay, this contradicts #2 somewhat, but sometimes there are reusable items we can buy that will last years and replace hundreds of their single-use plastic counterparts, and we may not always have the right item at home. There are some absolutely stunning plastic-free products out there for home and body, and once you start using them you may not want to go back (I didn’t!). Do it now, set a time, and make it easy. I can’t stress this enough. We are on auto-pilot while doing most daily tasks, so even if you set your mind to doing something, the efficient part of your brain will take over and sabotage that plan. Realize that you may not ditch all plastic. Right now, there are some plastic products for which there is no safe biodegradable alternative, and we can’t really do without them. Medical devices, parts of vehicles, etc. Just do what you can. Maybe science will catch up with the rest.So, right now, when you’re done reading this, write yourself a note with your ONE THING, put it somewhere that you can’t miss it, and set up the rest of your plan so you don’t have to remember tomorrow. If you need to take a reusable bag or coffee mug and put it on the driver’s seat of your car so you’ll remember, do it NOW. You’ll thank yourself in the morning! Ahhh. Now that we’ve got the work out of the way, we get to enjoy the nice part: feeling satisfied every time you reinforce your new plastic reduction habit. Habits tend to work best when they are followed by some type of reward, and in this case the reward could be the pleasure of using an attractive reusable snack bag, noticing your not-as-full recycling or trash bin, or shopping for some delicious-smelling bar soap. Go out, make your new plastic habit. Save a turtle. Enjoy your cup of coffee guilt-free! 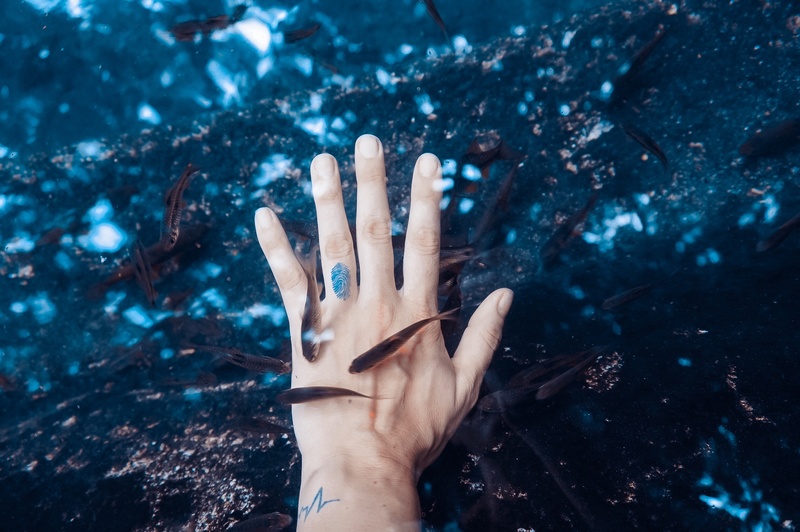 NOTE: One paper describing the effects of microplastic ingestion on marine animals was retracted due to criticism of the authors research methods, therefore I have not included that specific article. Next Upcycling vs. creative reuse: what’s the difference?